ALMS: Long Beach Provisional Entry List. Provisional entries for the second round of the 2011 American Le Mans Series at Long Beach are now available and, as the first ALMS round outside of the ILMC, grid numbers have dropped significantly. As expected, the prototype ranks were most significantly affected. The (albeit anticipated) omission of series regulars Highcroft, Intersport, and AutoCon, leaving the LMP field in an ailing state, with only four (2x LMP1, 2x LMP2) entries between the two categories. Long time series stalwarts, Robertson Racing will not compete at the event. As first time Le Mans competitors in 2011, the team and its pair of Doran Ford GT chassis, will be required to attend the Le Mans test day on April, 24. Logistical difficulties have prevented the squad from participating at Longbeach. Provisional entry listings for the event can be seen below. LMS: Paul Ricard Entry List. Entries for the Le Mans series season opener at Paul Ricard were released this week and, although sustaining late withdrawals from both LMP and GT, round one will bear a healthy grid of 34 competitors. 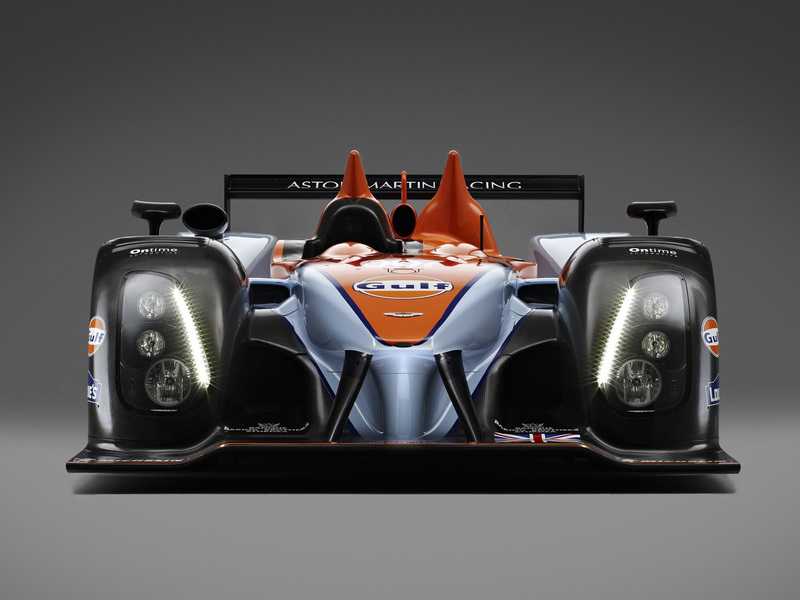 Aston Martin's new LMP1 challenger, the AMR-One. - Image courtesy Aston Martin Racing. After months of anticipation, Aston Martin Racing has today revealed its latest generation LMP1 challenger, the AMR-One to the sportscar racing fraternity, along with its driver lineup and race programme for the 2011 season. A rapid departure from Aston Martin’s previous prototype forays, the open-top chassis marks AMR’s first purpose-built motorsport chassis since 1956. Unlike its competitors, the AMR-One will utilise a 2.0 litre gasoline, turbo-charged, direct-injected, inline six powerplant. The car’s transmission will be supplied by X-trac, in the form of a six-speed pneumatic, semi-automatic shifting system. Front suspension has been revealed as a double A-arm design. Despite having opted against the coupe route chosen by its competitors, the open cockpit design bears multiple semblances to both its rivals in minor ways. The first of of which, and most note-worthy, being the use of front-mounted, rear-wheel sized tyres as a means gaining additional front-end grip and corner stability through increased tyre contact. Originally pioneered by Wirth Research on the ARX-02a, the concept has also been employed by both Audi and Peugeot on their latest generation LMP1 chassis. Split nose design of the AMR-One. A radical departure from that of the Lola-AMR. - Image Courtesy Aston Martin Racing. The raised/split nose design (also utilised by Peugeot) is an unexpected addition to the AMR-One. The feature, which conjures thoughts of several prototypes (both past and present), had not been an anticipated development for many. As a result, the car’s cosmetics have already been labeled as less-desirable than its competitors. Without a basis for on-track comparisons the practicality of the design has not yet been gauged. Another unexpected development is the use of an asymmetric cooling system. In recent times LMP constructors had primarily opted for symmetrical systems, opting for either twin side-mounted air-intakes (usually located above rear wheel archs) and, where necessary, an additional roof mounted intake. Unlike its rivals, the AMR-One bears a single side-mounted air-intake unit. A second intake unit is mounted between the rollhoops, beside the driver’s head, and attached to the now mandatory fin adorning the car’s rear. The AMR-One also bears what appears to be a constant (or at least minimally varying) trailing edge on its sidewalls. Which are noticeably higher than those of its rivals. The AMR-One's high riding sidewall. - Image courtesy Aston Martin Racing. AMR also revealed details of its driver lineup for the 2011 season. Announcing the return of Stefan Mücke, Darren Turner, Adrian Fernandez, Harold Primat, and recent addition Andy Meyrick. 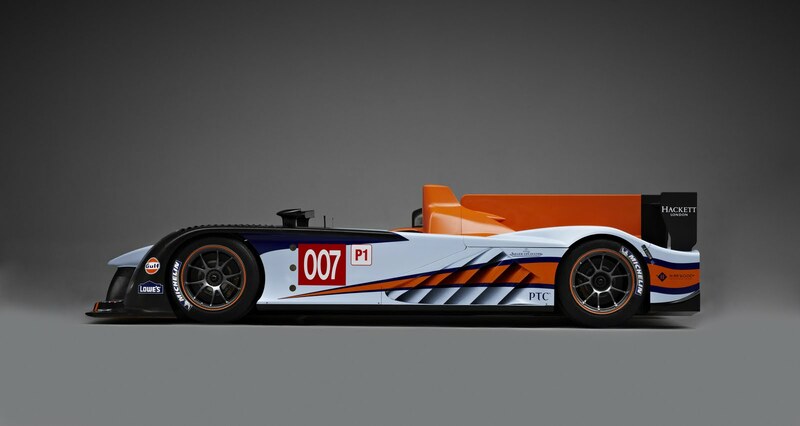 The sixth driver, who will partner both Mücke/Turner in the 007, has not yet been revealed. 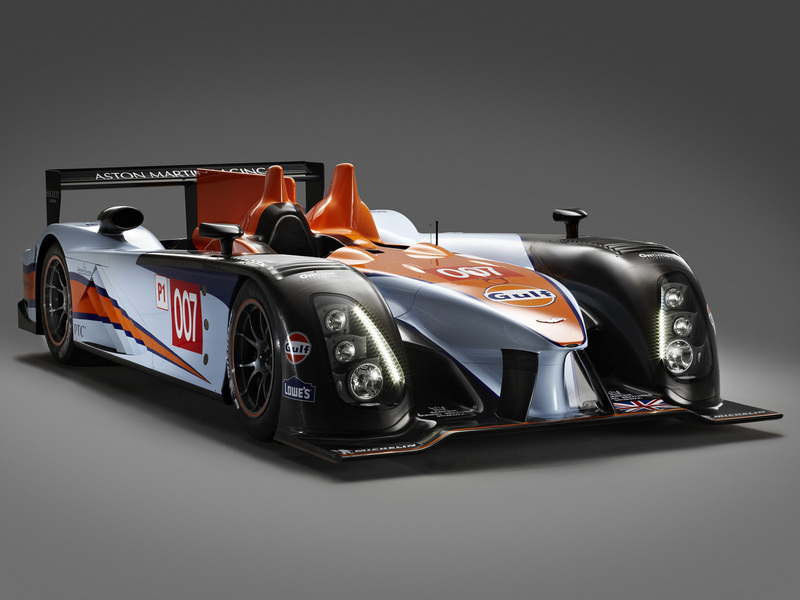 The marque also further confirmed its intentions to compete in the 2011 Intercontinental Le Mans Cup. Despite this, AMR will not be present at opening round of the ILMC this March, removing the Sebring 12 Hour from its 2011 schedule. Team members cited a lack of preparation as the deciding factor. AMR will instead debut the AMR-One at the LMS season opener at Paul Ricard, on 1-3 April. Although lacking in some areas cosmetically, the overall design of the AMR-One appears to be a melding of ideas from other successful LMP designs, along with additional AMR ingenuity. Whether the package can be deemed effective is yet to be proven. The AMR-One is expected to commence preliminary testing in March. 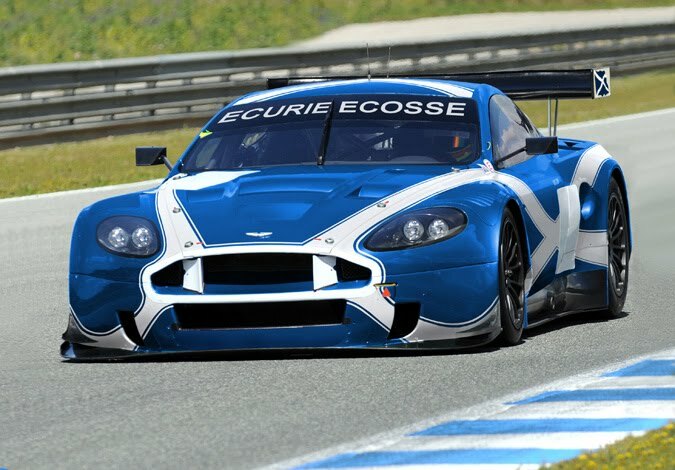 Famous Scottish team Ecurie Ecosse has recently announced plans for a return to sportscar competition as soon as 2011. The famous team yesterday revealed its intention to enter the Spa 24 hour event in July. The Edinburgh-based squad will campaign a single Aston Martin DBSR9 GT3 chassis under the Ecurie Ecosse banner, utilising the services of esteemed British outfit, Barwell Motorsport who, in addition to providing services to Ecurie Ecosse, will campaign their own DBRS9 throughout the 2011 Blancpain Endurance Series, and Spa 24 Hour. The team will also receive factory assistance from AMR in the form of both technical, training, and engineering support.